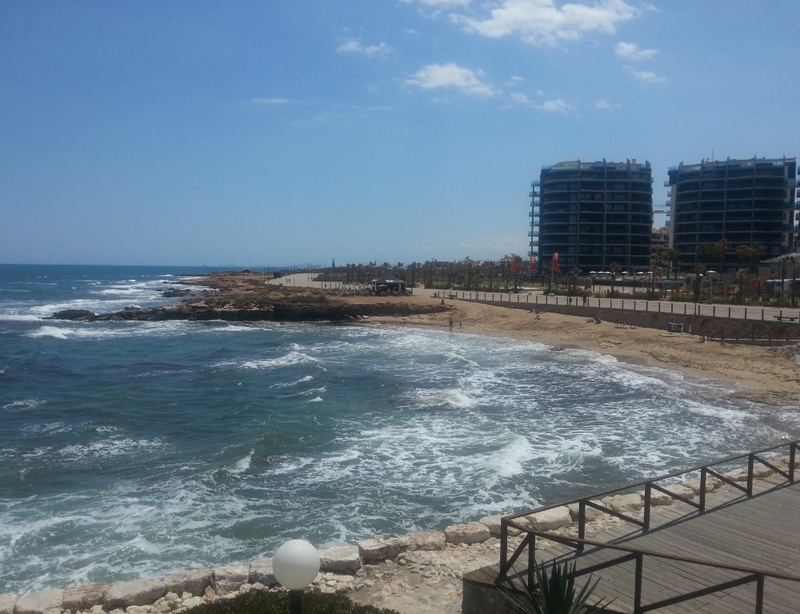 The Orihuela Costa is the coastal area on the Costa Blanca in South East Spain. 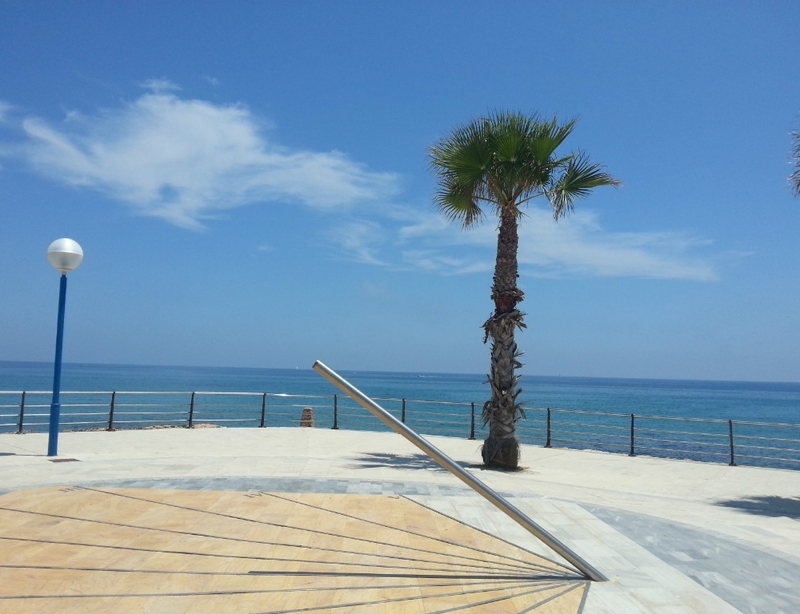 The Orihuela Costa comprises of around 16km of blue flag awarded beaches and rocky coves stretching through Punta Prima, Playa Flamenca, La Zenia, Cabo Roig, Villamartin, Campoamor and Mil Palmeras. 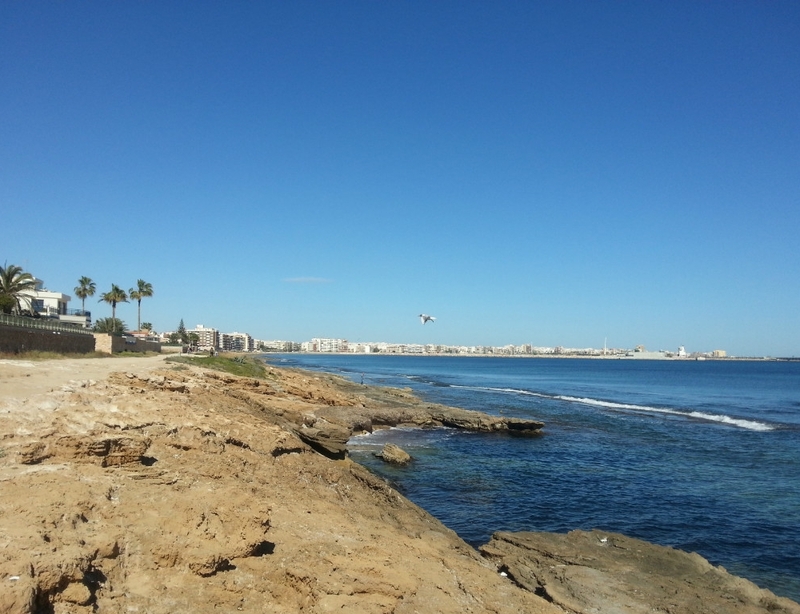 The expanse of coastline makes the whole area of the Orihuela Costa excellent for coastal walks and hikes, as the whole coast is accessible by foot, more or less from the beginning to end. Punta Prima is a small beach resort situated just south of Torrevieja, and is the most northerly of the Orihuela Costa resorts. Punta Prima has two beautiful beaches which have been awarded the blue flag status, a mark of quality in services and cleanliness. Playa Flamenca is a small beach resort and was developed from a section of deserted coastline in 1972 by a group of Flemish investors who saw potential in the area. Playa Flamenca is recognised as one of the Orihuela Costa's most popular locations, boasting two blue flag beaches and a host of smaller coves between Playa Flamenca and Punta Prima. 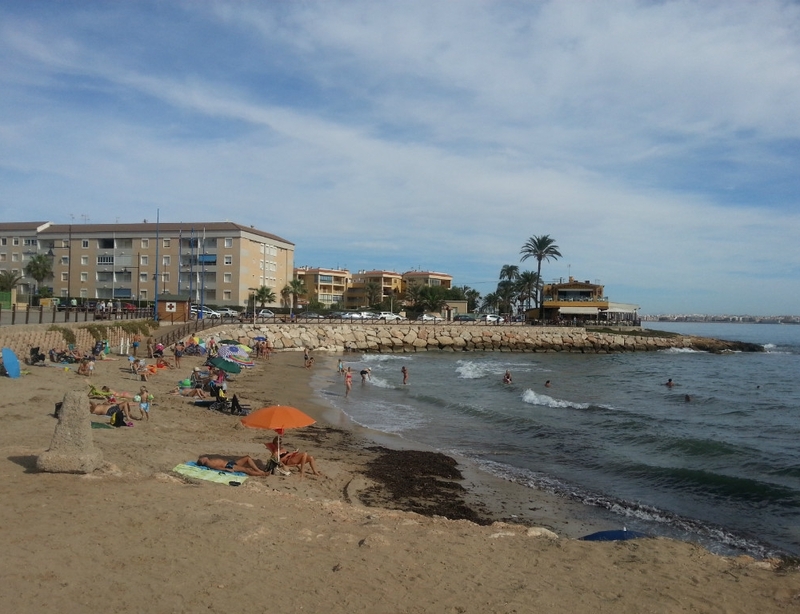 La Zenia is a small but busy resort. La Zenia's best known landmark is the La Zenia Hotel, sitting on a rock-face, right on the edge of the Mediterranean Sea, with beaches either side of it - Cala Bosque & Cala Cerrada. 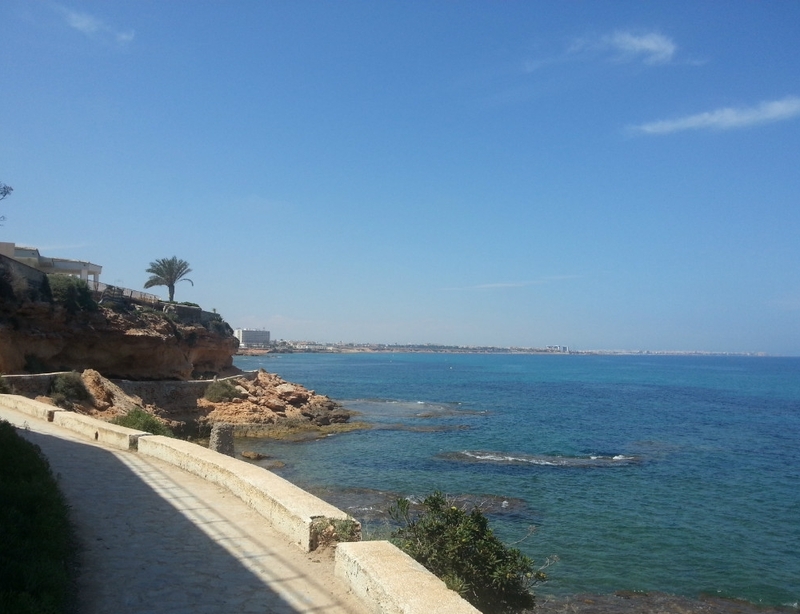 La Zenia’s other beach – Cala Capitan (with the little Isla del Carmen), is just a short walk along the coastal path. Despite being one of the Orihuela Costa’s most perfect and cleanest beaches, La Zenia will never be awarded any of the blue flags, because Spanish laws states that there should not be any buildings within 30 metres of the shore and as La Zenia Hotel is on the edge of the water, albeit on a rock face, the beaches will never get that all important status. 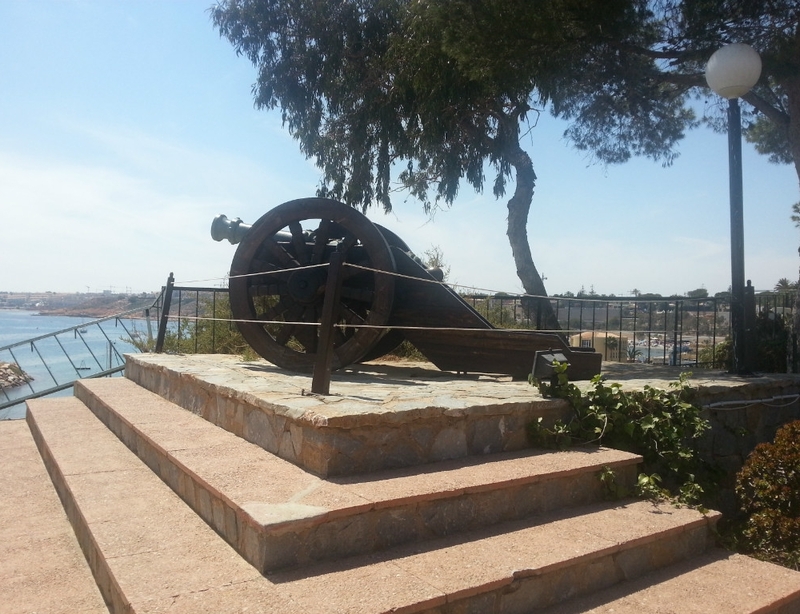 Cabo Roig’s famous landmark is the watchtower which dates back to the 16th century and was originally built to ward off attacks from Berber pirates. The Cabo Roig Marina is one of the best marinas on the Costa Blanca coastline, and is located by the well-known Cala Caleta beach. 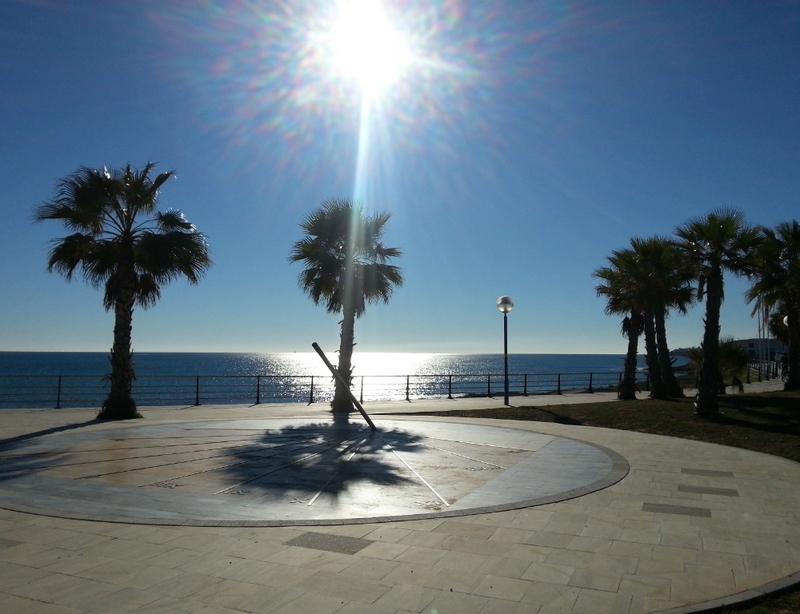 Above the marina is the pretty Cabo Roig to La Zenia cliff walk, which takes you on a journey to the Torre del Cabo Roig, a lookout point with stunning views of the beaches below and views to Campoamor and over to La Manga strip on the Costa Calida. Villamartin is best known for two things - Villamartin Championship Golf Course and Villamartin Plaza, with its black and white chessboard pattern surrounded by shops, bars, cafes, banks and restaurants. 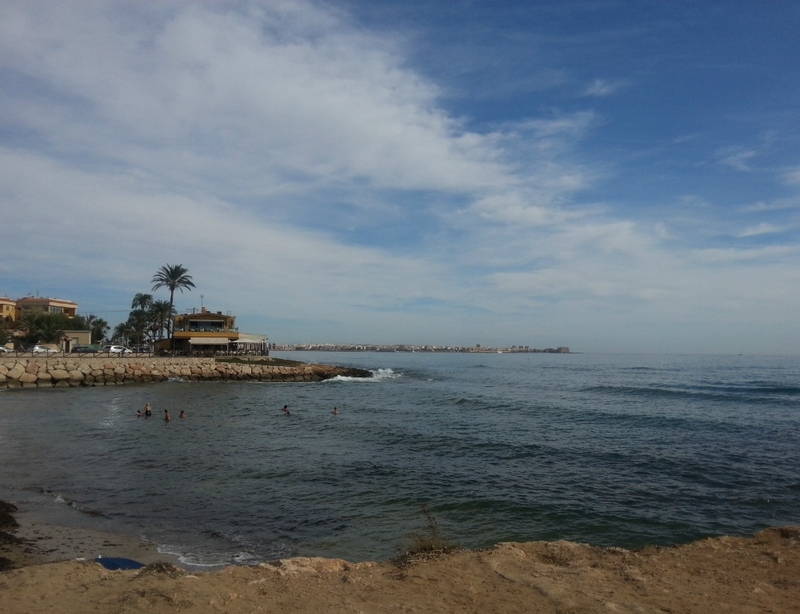 Although not on the coast, there are many beaches on the Orihuela Costa within short distance. 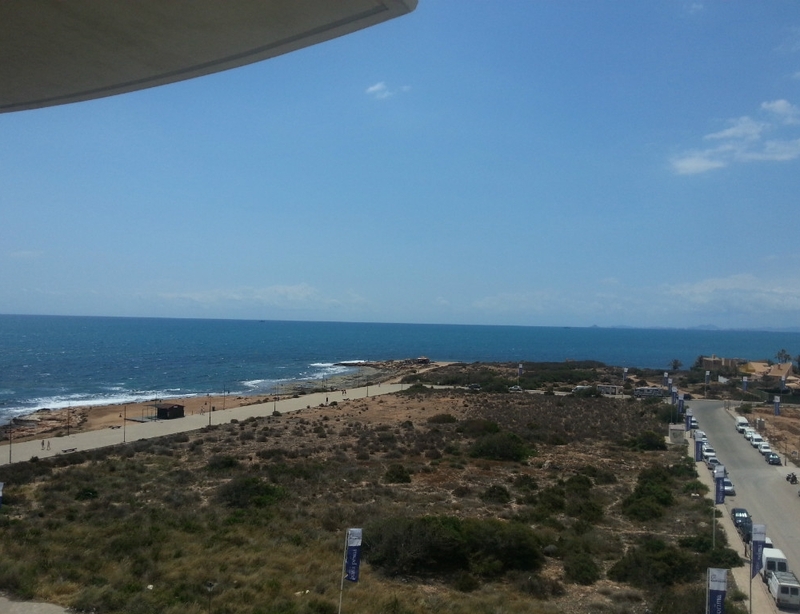 South of Cabo Roig and nearing the southern end of the Orihuela Costa, lies Dehesa de Campoamor (Campoamor for short). 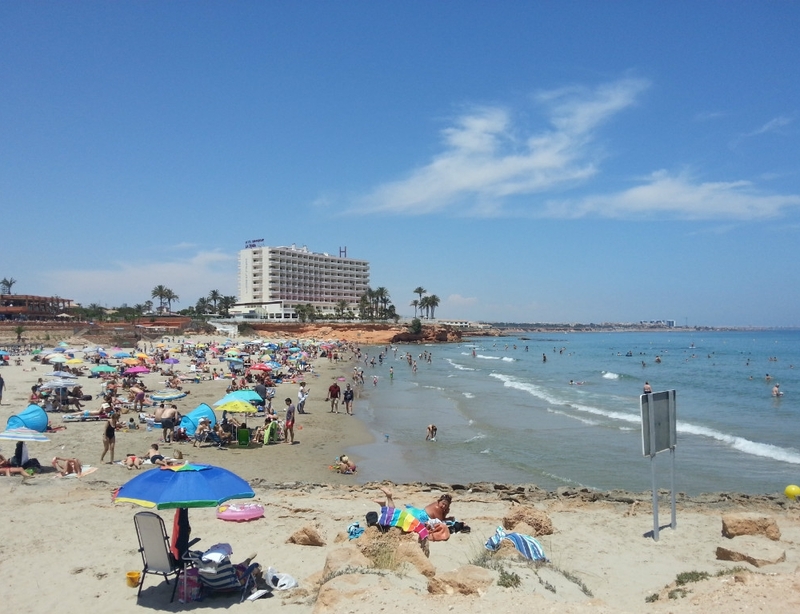 Campoamor has three main beaches, Cala De Campoamor, Playa De Campoamor and Caleta De La Glea. There is a choice of golf courses from the Real Club de Golf Campoamor and Las Ramblas Golf. The recently opened La Fuente Commercial Centre boasts a wealth of bars, restaurants and facilities to rival any other resort on the Orihuela Costa. Mil Palmeras - a Thousand Palms - is a small coastal resort located between Campoamor and Torre de la Horadada on the Orihuela Coast. It is the most Southern of the Orihuela Costa. Mil Palmeras has a beautiful, long stretch of uninterrupted coastline, immaculate sandy beaches with a few rocky coves. 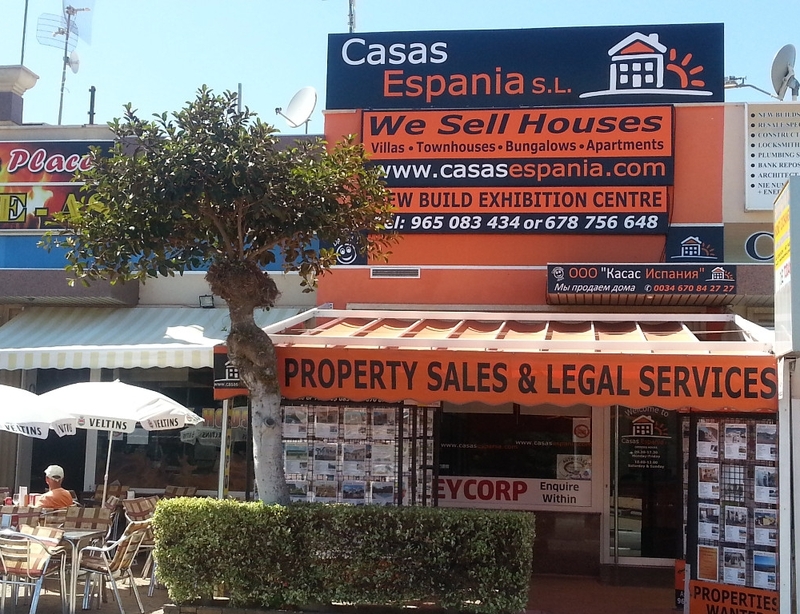 Casas Espania is looking for properties to showcase in our new office in La Zenia. Call 966 785 202, if you are interested in our team promoting the sale of your property. The Orihuela Costa is an ideal place to settle down, with its sunny climate and beautiful beaches, what more could you ask for! See below to view a selection of our bargain properties in Orihuela.